Junior guard Dy Armfield scored 19 points but it wasn’t enough as a poor second half doomed the Highlanders in a 52-28 loss on Senior Night. Prior to the contest, Oak Hills honored its five seniors who are graduating this season. They are: Tri-captain Grace Aug, Tri-captain Camyrn Gramke, Allison Huellemeier, Tri-captain Krisi McCalley and team videographer Athena Caneris. 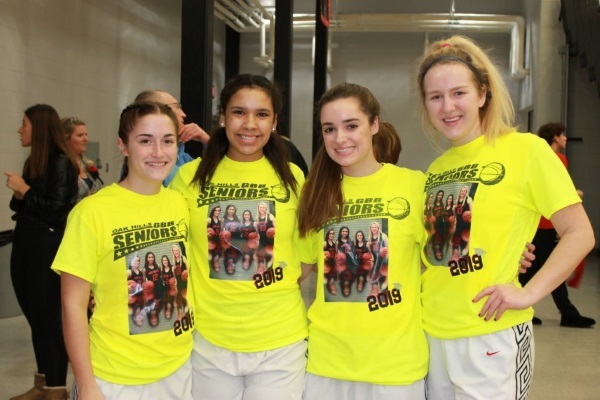 Congratulations Ladies on a fantastic career and thanks for all of your efforts for Oak Hills Girls Basketball. Freshman won 41-11 and JV fell 45-23.